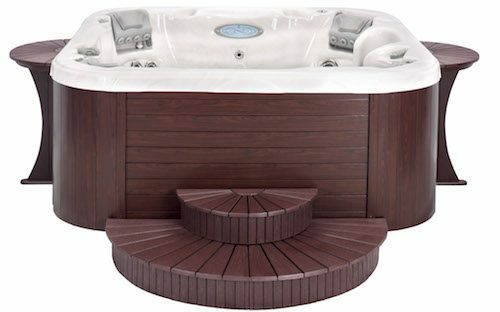 Improve the functionality and appearance of your hot tub with a surround from A&B Accessories. 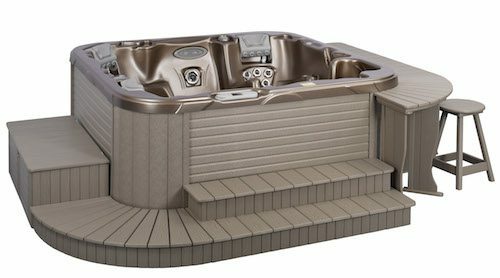 The quality of our 100% US-made hot tub surrounds is simply unrivaled, and we offer a variety of styles and finishes, allowing you to find the perfect hot tub surround for your unique spa. 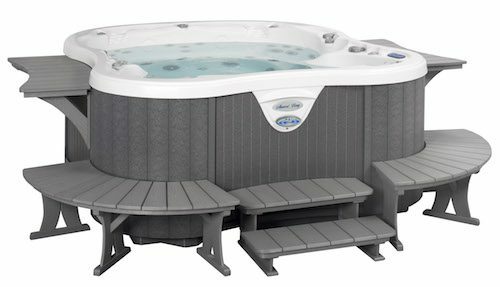 Choose from our suggested designs or let us customize one for you: our individual modular components provide the hot tub surrounds you want today with the flexibility to meet your design requirements in the future. 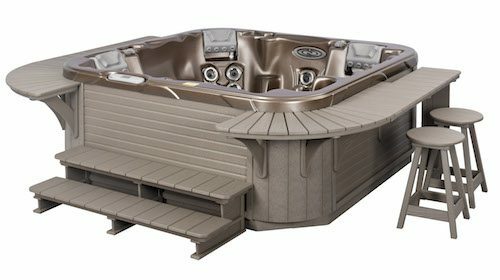 Each will be made to the exact dimensions of your make and model of hot tub. 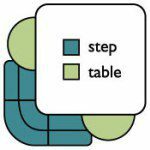 Open 2 tier step in front with front left & right corner and side tables. 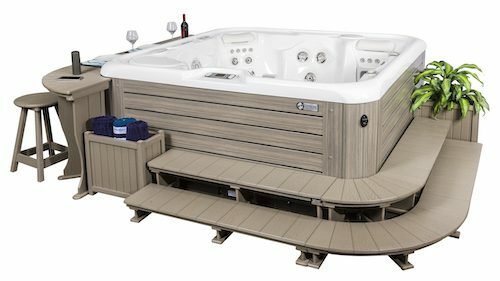 Elegant wrap around step with towel box / planter with table on left side in gray. 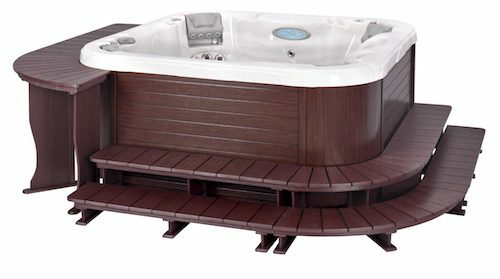 This modest design has wrap around steps and a freestanding side table on the left in cherry. 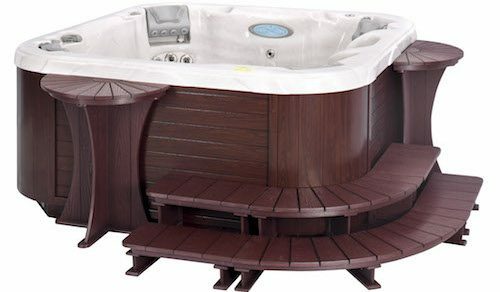 Beautiful wrap around corner step with sunburst tables in cherry. 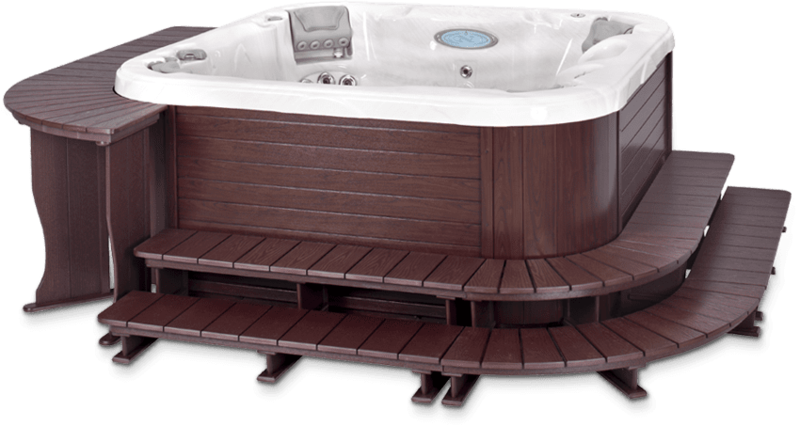 Dramatic sunburst step with matching sunburst tables in cherry.